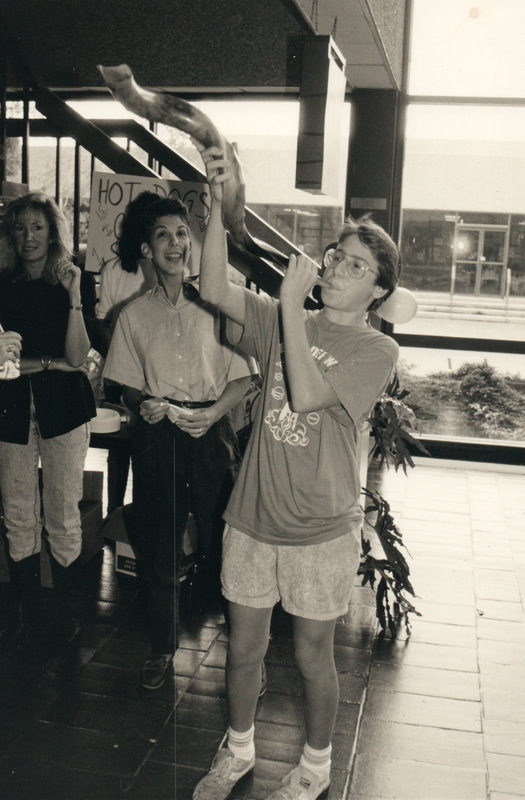 This week as we start a new school year we are featuring teen high school organizations from years gone by. As you will see, we do not have the identifications on most of those depicted. Please help us! 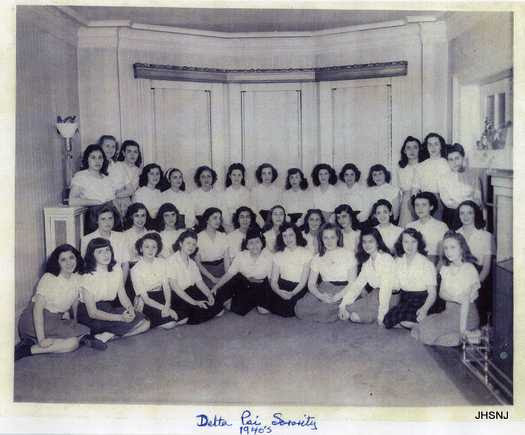 Delta Psi Sorority 1940’s. Know anybody? 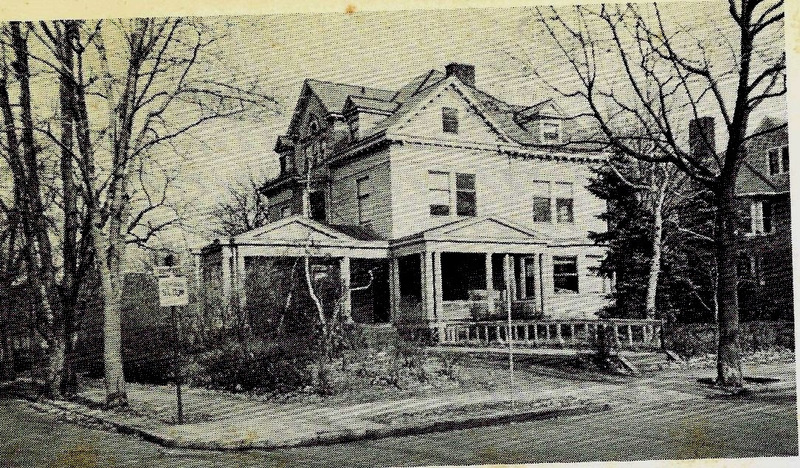 Alpha Phi Pi Fraternity (Eastside High School in Paterson). Please send us I.D.’s. 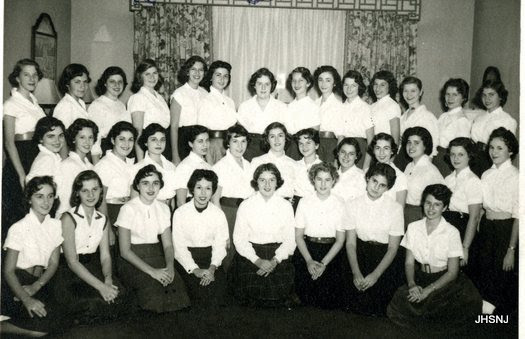 1954 Delta Psi Sorority. Please help us identify the sisters. 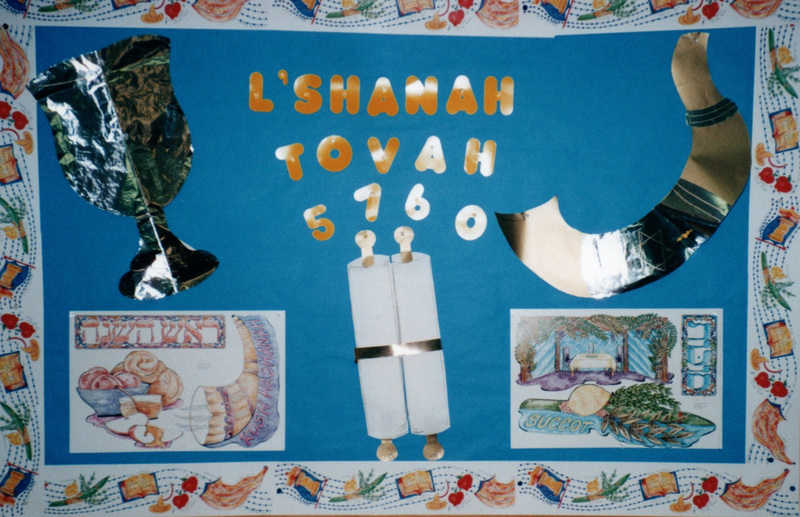 Rosh Hashanah – 2000 Wayne “Y” Rosh Hashanah display – Does anyone know who designed this beautiful piece? 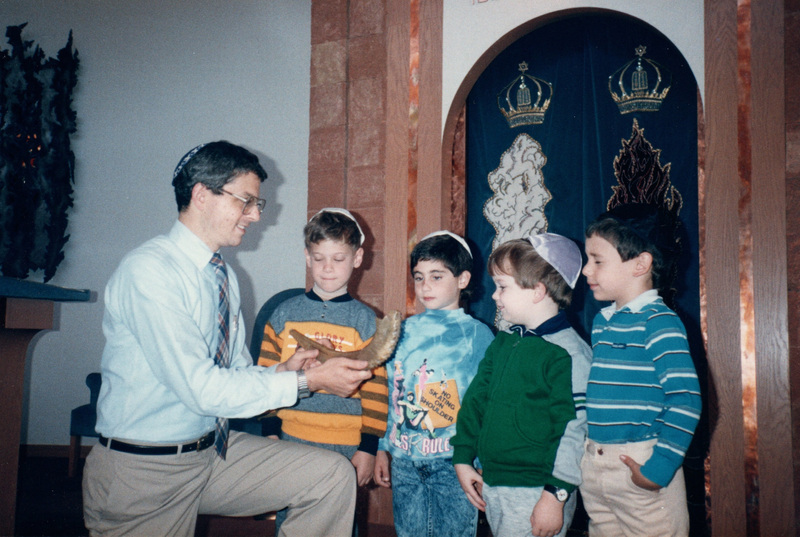 Who are these children with their unidentified instructor who are learning about the shofar and where was this photo taken? 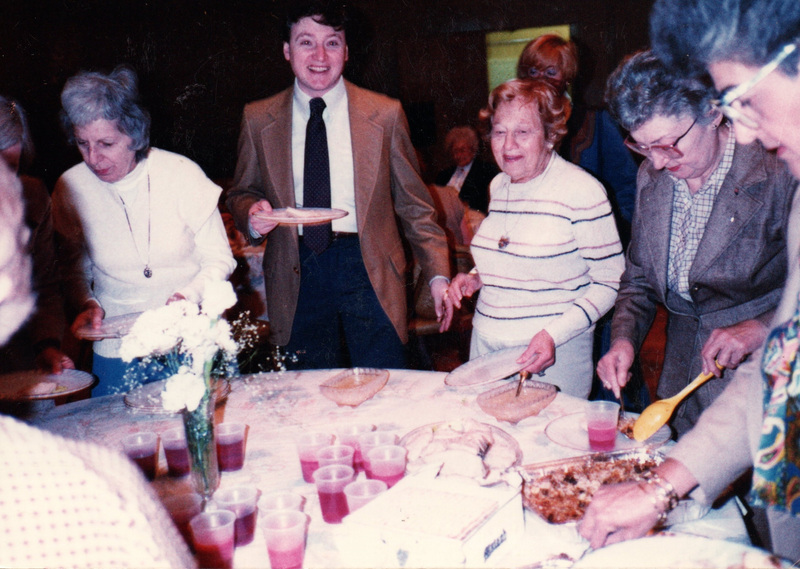 Rosh Hashanah kiddush being enjoyed at Temple Emanuel of Passaic. Help us with I.D.’s, please. We want to encourage our readers to tell their stories by submitting prospective future newsletters to the JHSNJ. Topics can range from neighborhoods, businesses, camps,or community centers and could include family memories or personal experiences you have had in the north Jersey area. Don’t be shy! 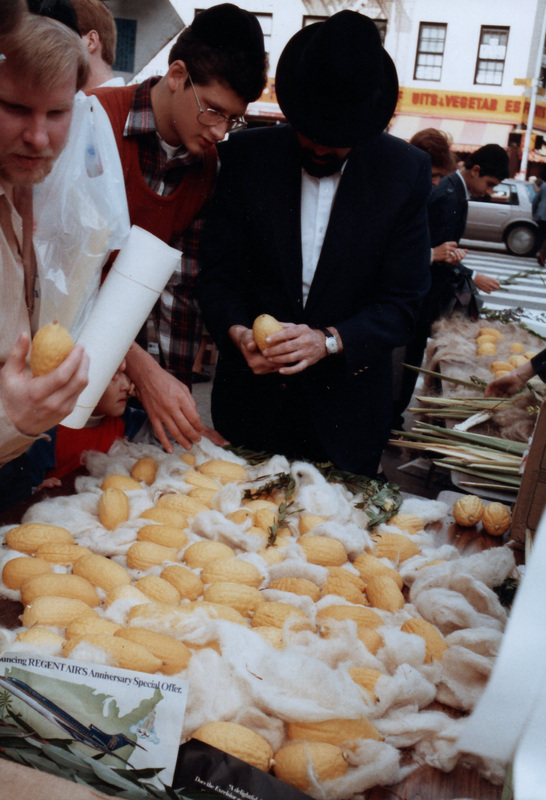 This issue of “Photo Friday” is dedicated to the celebration of the “Succot,” one of the three pilgrimage festivals. It marks the end of the harvest time in Israel and is a reminder of the temporary dwellings the Israelites lived in during their wanderings after their exodus from Egypt. 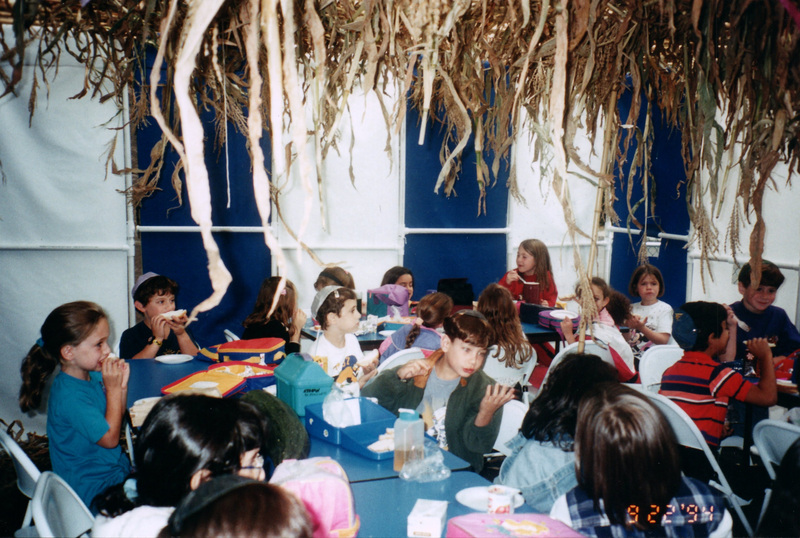 Students partaking of a meal in the Succah at the Gerrard Berman Solomon Schechter Day School of North Jersey. Can you recognize anybody? 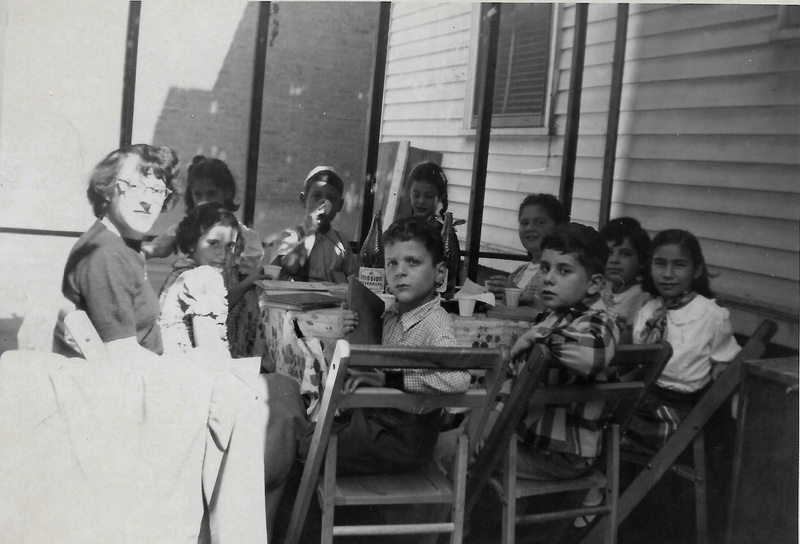 This edition of Photo Friday features Yavneh Academy, “the early years.” Yavneh was located on 12th Avenue in Paterson at that time. 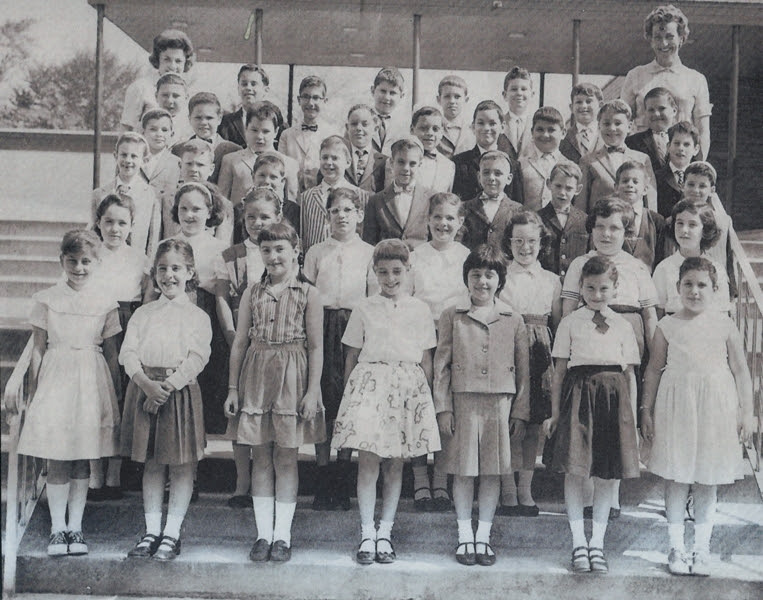 1945 entire student body which includes the first students who began the Yavneh Academy. Those identified are: 1st row L-r – Jerry Rubinowitz; Richard “Porky” Meyers; Bobbie Miller; ?,?,? 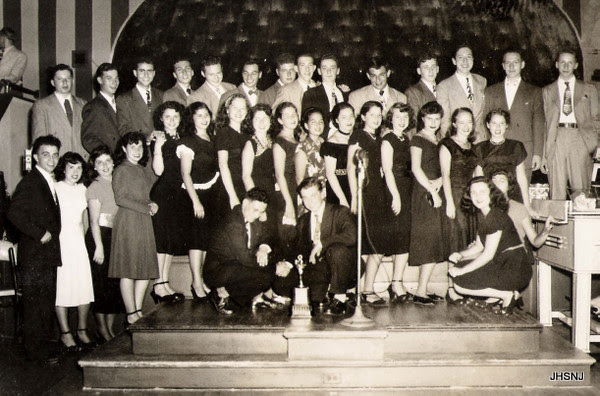 2nd row – behind Bobbie Miller: Jessie Saltzberg; 2nd from right is Marshal Cohen; 3rd row â€“?,?, Judy Potash(? ),?,Debbie Tauben, ?,? 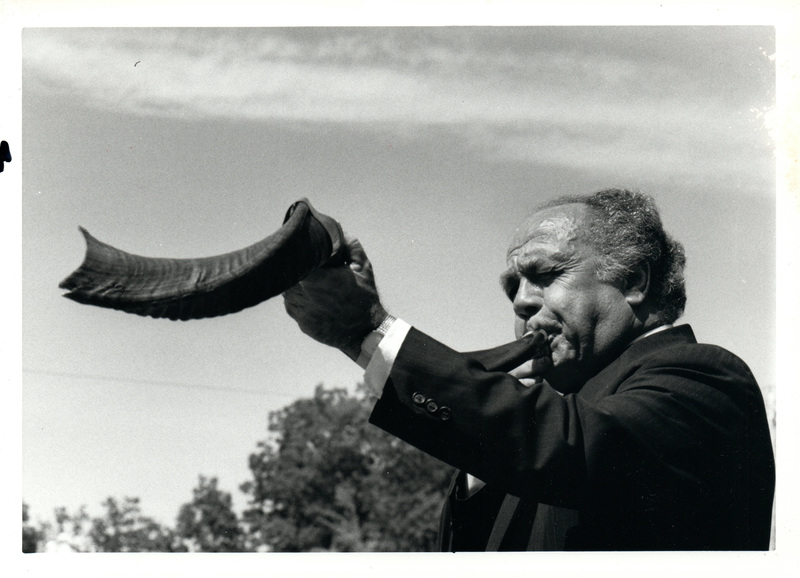 4th row – Saul Rosen; Lenore Brick; Melvin Rosen; ? 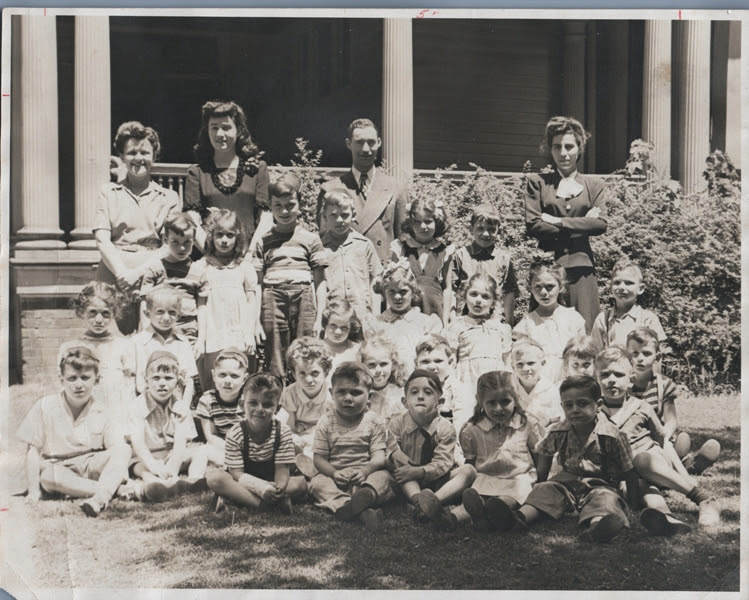 ,?, Barney Chessin; 5th row – 4 teachers – ?,?, Rabbi Charles Tannenbaum, Evelyn Friedal. Does anyone remember the other names? 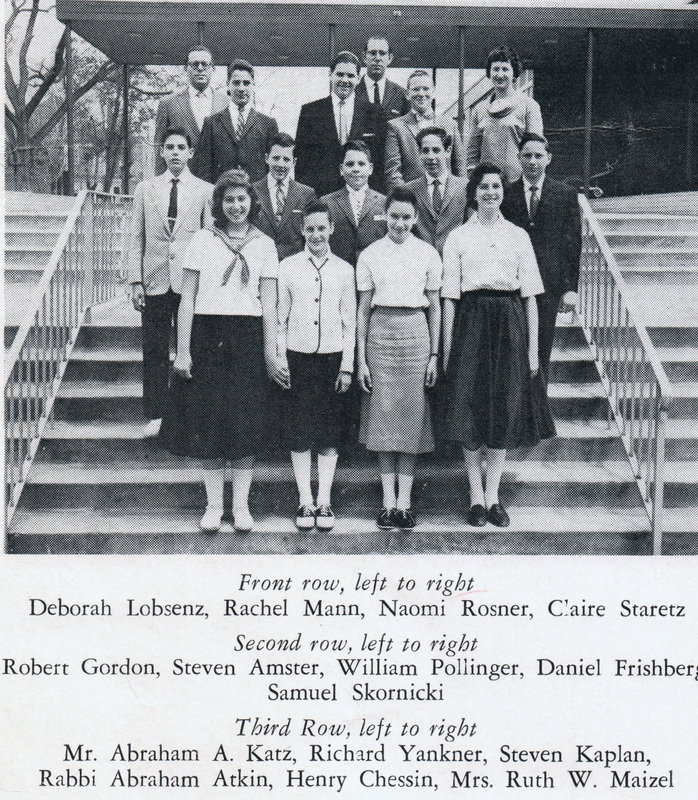 Yavneh class of 1959. 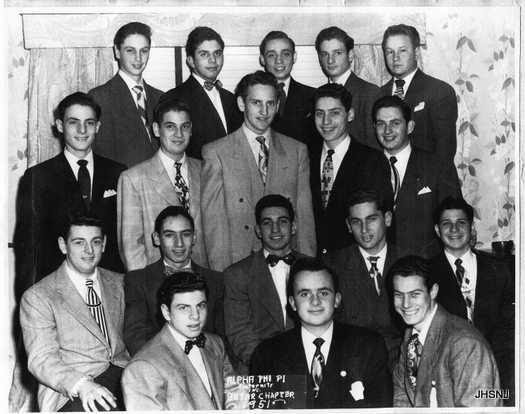 Front row: L-r: Allan Eisenberg, Harold Katz, Amos Katz, George Brown, Lou Mechanic, Miles Kuttler, David Carmel, Ira Nachimson, Ralph Labendz. 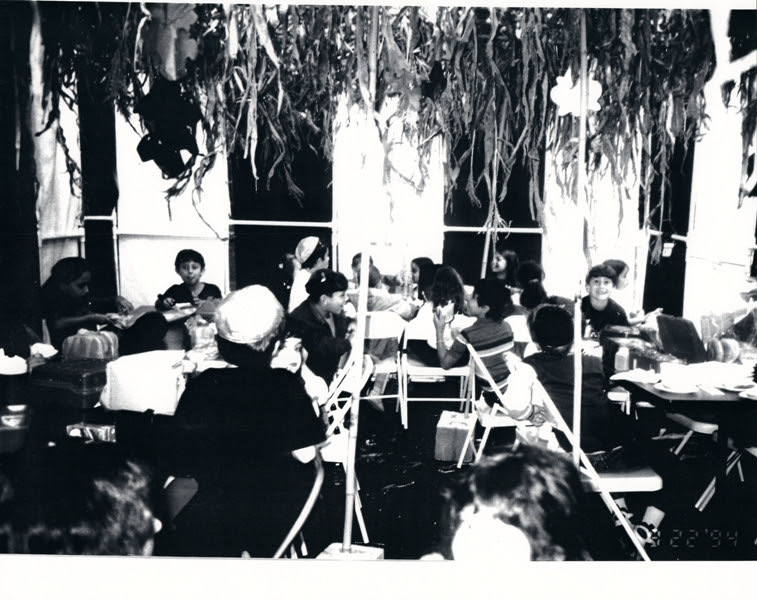 Second row: L-r: Fay Hollander, Ronni Rosenberg, Adrienne Usdan, Roslyn Francus, Arlene London, Dorothy Maizel, Goldie Tannenbaum. 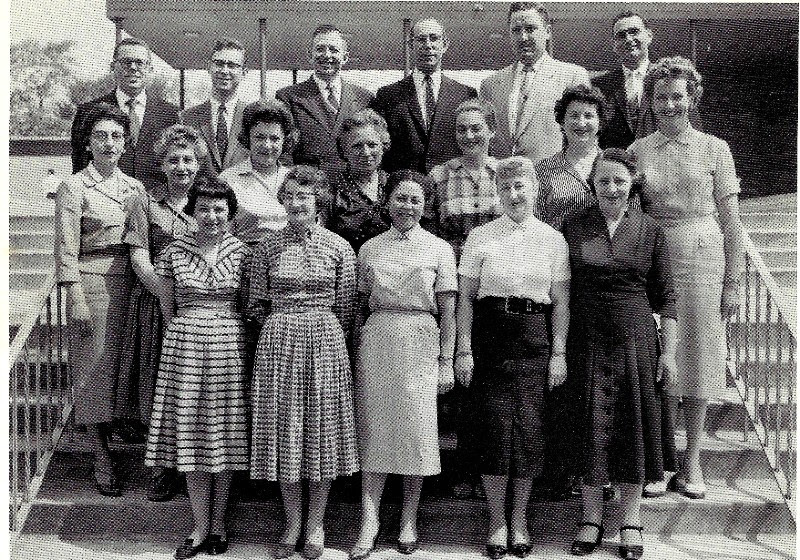 Top row: teacher Frieda Katz and teacher Stanley Witty. 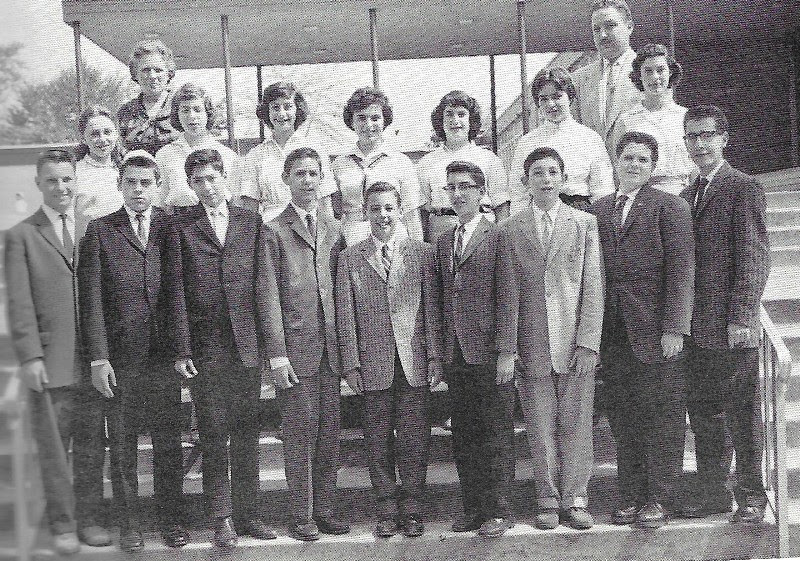 1958 Yavneh Academy choir. 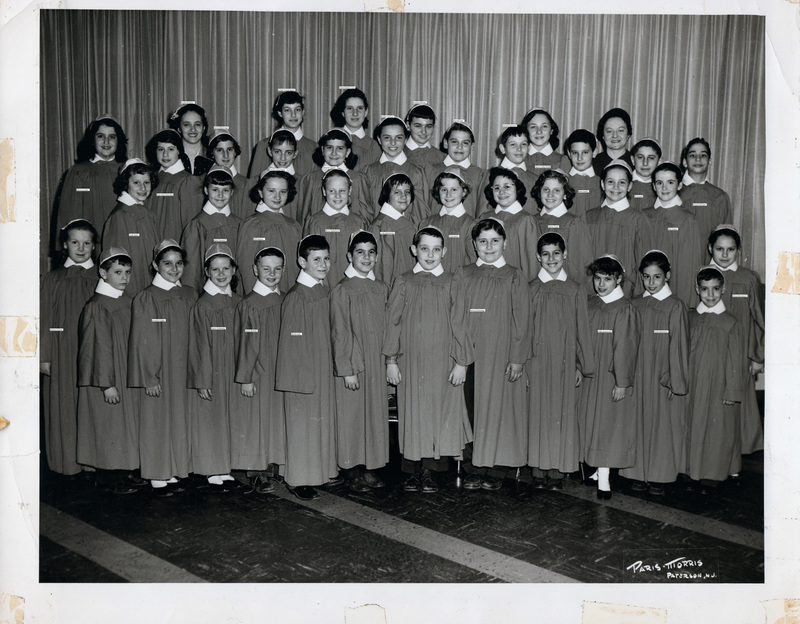 If you can enlarge this picture you will see that many of the choir members are identified. Please help us identify the others. 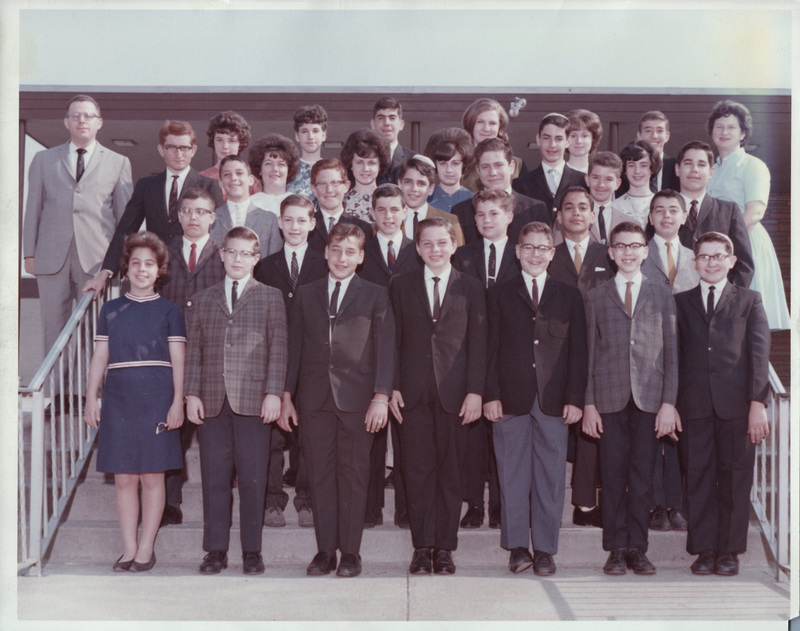 Yavneh class of 1964; Photo c.1961: 1st row from L-r: Gail Lerman; Debbie Cutler; Sara Gail Chessin; ? ; Chana? 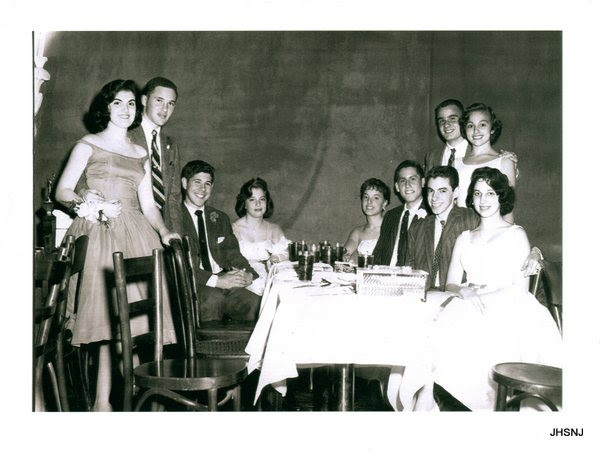 ; Rona Pietrokowski; Joan Strachman; 2nd row: Pearl Tepper; Esther Drucker; Debbie Shulman; Rebecca Appleton; Chana Reichman; Jerrol Lupatkin; Esther Reichman; Jan Glustrom; 3rd row; David Ascher; Michael Ehrlich; Alan Walfish; Brett Robinson; Philip Resnikoff; ? Isaac “Yitzy” Atkin; Joel Botwick; Jack Wisniewski: 4th row: Willie Singlar; ? Jack Landau; David Touche; Julius Rabinowitz; Harvey Stobetzky; William Feiler; Theodore Raichel; Jack Nelson; Top row: teacher; Ed Gulko; Gary Kosdan; Sanford Kutler; Leon Kozak; Roland Paer; Richard Felton; Bernard Saltzman; Stanley Zimmerman; and Teacher Susan Byrne. 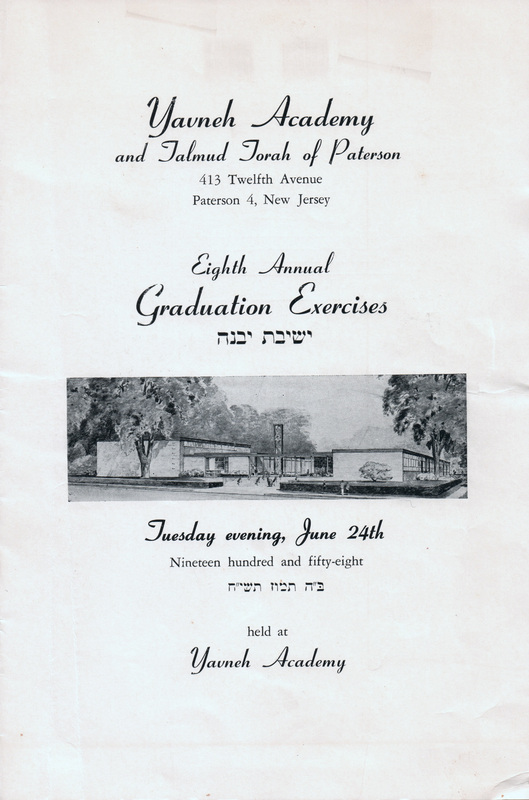 The image on the top left is the Yavneh 1958 Graduation Program and the photo on the top right is the graduating class of Yavneh 1958. The students are all identified if you can enlarge this photo on your computer. 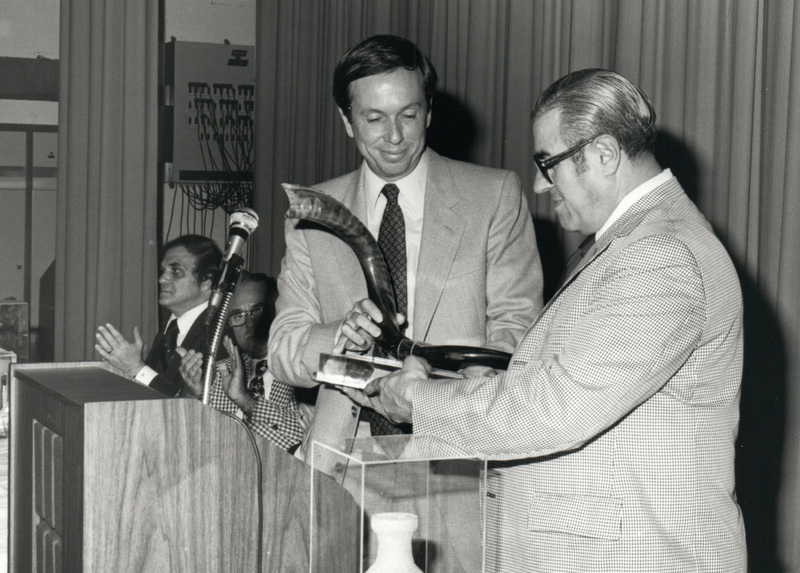 The JHSNJ is currently featuring an exhibit celebrating the 70th anniversary of the founding of modern Israel. Beginning with our grand opening on October 28th at 11:00am our October exhibit will feature photos, documents, the time capsule from the Wayne “Y”, and other memorabilia from the YM/YWHA’s of Northern New Jersey. 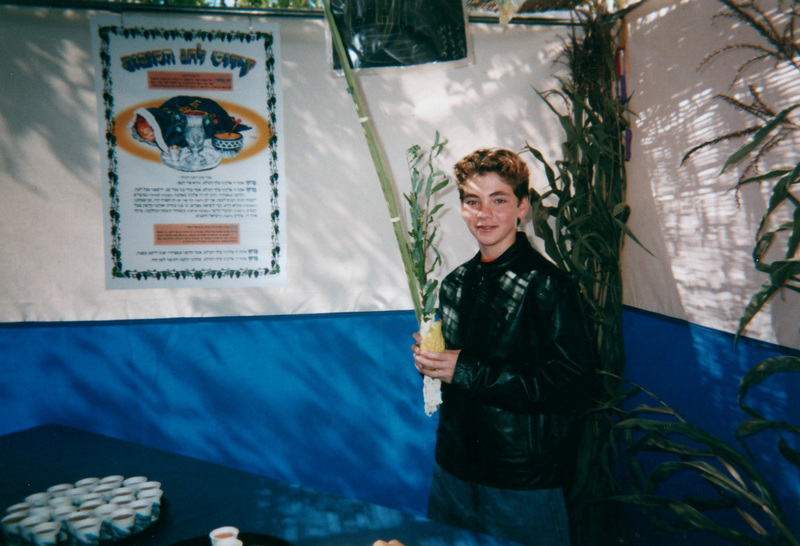 If people have any memorabilia , photos, etc to share we’d love to include them so please contact us at 201-300-6590. Visitors are welcome to visit on Mondays and Wednesdays from 11:00 am – 3:00 pm. If you enjoy our photos every Friday, please take a minute to help support our efforts. You can donate via PayPal on our website by clicking on the donate button. 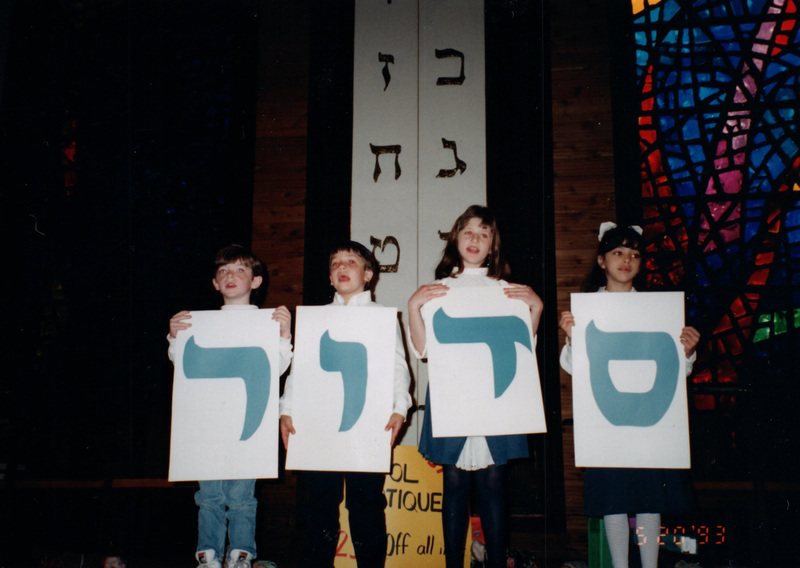 This week we will celebrate some Hebrew school memories. 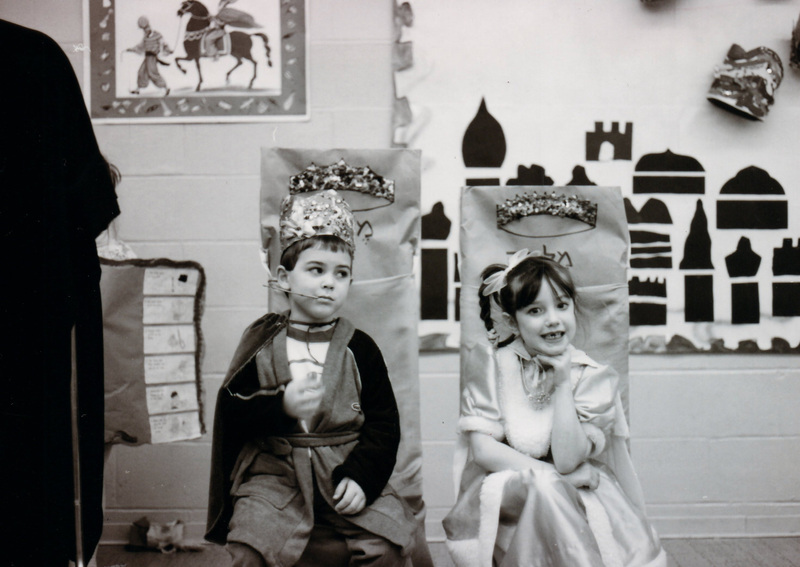 Solomon Schechter Purim Play – Matthew Rappaport and Kerin Nadler – Does anybody know the year this was taken? 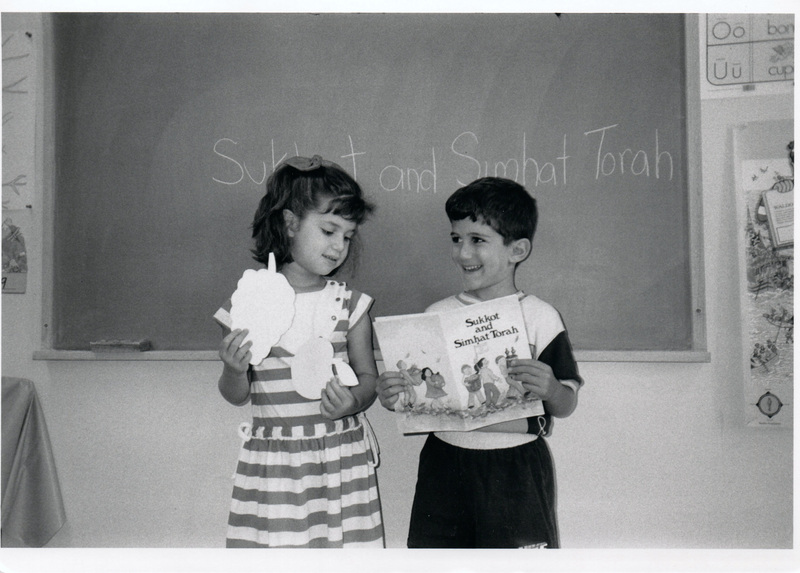 Eastside Hebrew School,E.36th Street,Paterson, NJ; Kids also learning about the siddur and kiddush. 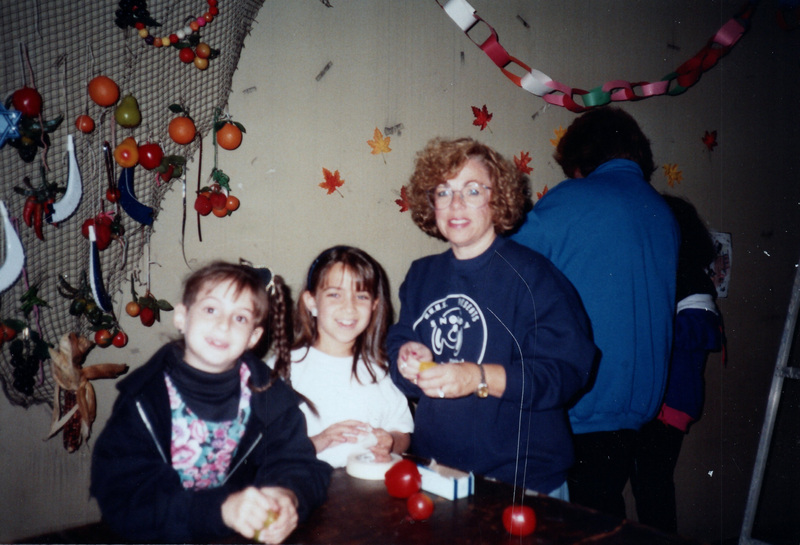 Left to right around the table – (Rebbetzin)Yetta Tannenbaum,?,?, Goldie Tannenbaum wearing the pigtails,?,?,?,?,?,?, Howie Bromberg is allegedly one of the pupils, but which one? Please help us with the I.D.’s! Year unknown. Mrs. Elaine Schlossberg, Bd. 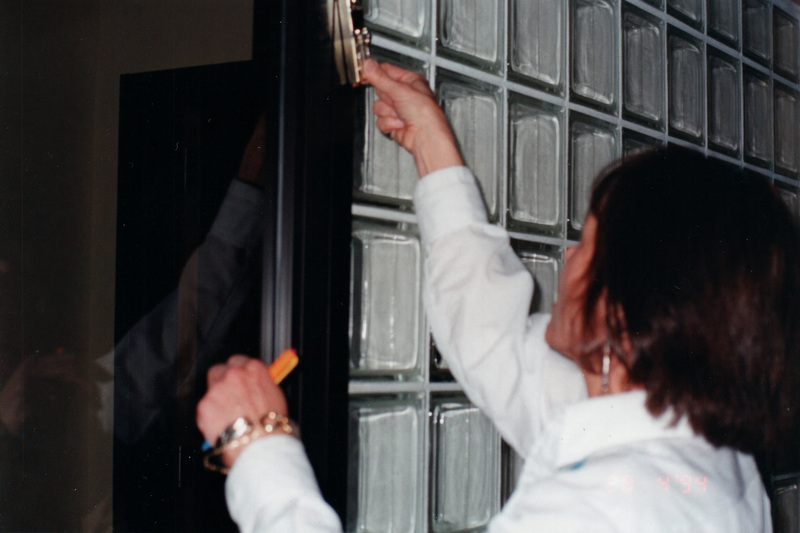 Pres.,affixing a mezuzah to one of the door posts of the new Oakland school building of the Gerrard Berman Day School, a major event in the school’s history. Learning about and celebrating Succot. Anybody know who, where and when? 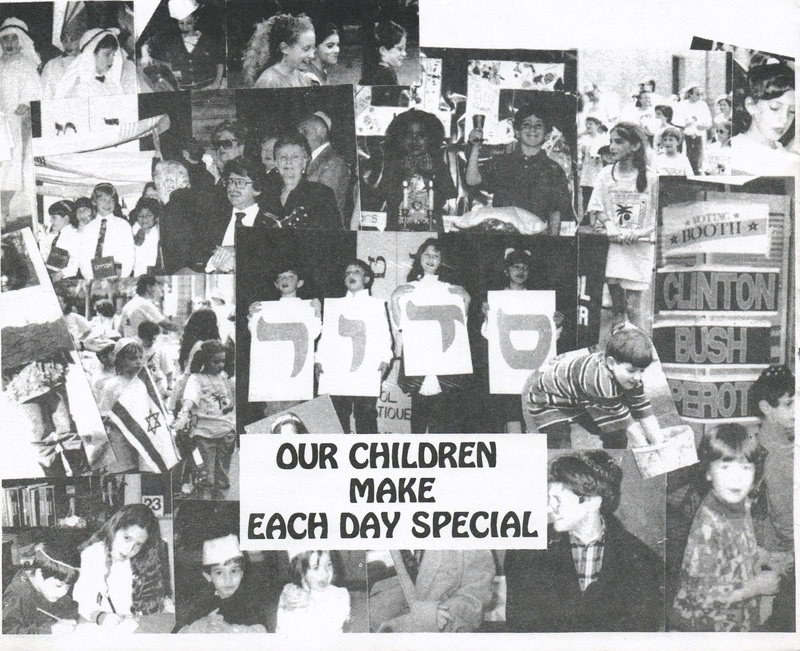 A collage made by the children at the Gerrard Berman Day School in Oakland. Our next exhibit, beginning with our grand opening on October 28th at 11:00am, will feature photos, documents, the time capsule from the Wayne “Y”, and other memorabilia from the YM/YWHA’s of Northern New Jersey. If people have any memorabilia , photos, etc to share we’d love to include them so please contact us at 201-300-6590. Visitors are welcome to visit on Mondays and Wednesdays from 11:00 am – 3:00 pm.